Perhaps with a sarcastic smile on his face, Adrian Peterson said he wants to play until he’s close to 40 years old. After 10 seasons with the Minnesota Vikings, all indications are Adrian Peterson is impressing everyone involved with the New Orleans Saints. That positivity during pad-less offseason work is not unique, though Peterson’s presence for workouts with his team in June is an exception based on the rest of his career. Peterson has long had an inflated sense of his ability, with a goal of 2,500 rushing yards after topping 2,000 yards on the ground in 2012 and repeated comments he wants to play deep into his 30s. Missing most of the season twice in the last three years, with a 2015 league rushing title in between, has done nothing to curb Peterson’s sense of how long he can play. Speaking at a charity softball game Wednesday, Peterson pointed toward playing another six years or so. Peterson did acknowledge seeing former Saint Steve Gleason’s No. 37 on the scoreboard as a partial driver for his answer. Peterson has routinely defied odds, with that 2,000-yard season in 2012 coming off a torn ACL and leading the league in rushing in 2015 at age-30. He suggested the doubters have given him something to prove yet again this year, with a bit of a chip on his shoulder. It would be unprecedented for an NFL running back to play, let alone play well, until he is close to 40. Peterson will have to give up snaps to others in a deep Saints’ backfield this season, which is something he never really had to do in Minnesota. 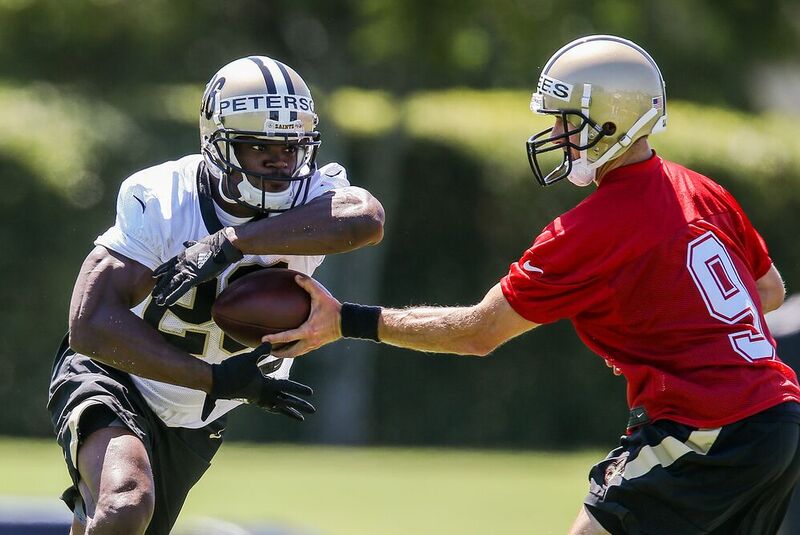 The first time he fails to pick up a blitzer, and Drew Brees takes a big hit, all of the positive buzz around Peterson will diminish.